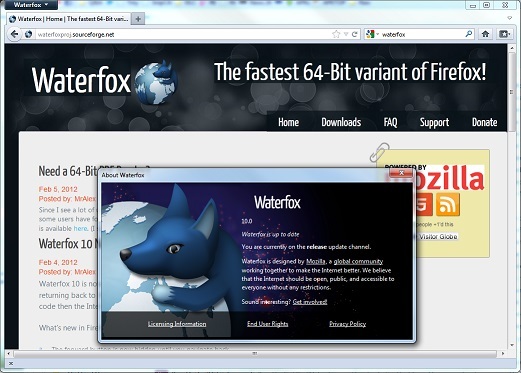 Waterfox started in March 2011 by myself (Alex Kontos), a 16-year-old student. I had a fascination with the web and wanted to help develop the ideals of what Mozilla had done for a free and open web. And so I decided to make Waterfox, a 64-bit browser based on Mozilla's free and open source platform. Waterfox focuses on choosing users while helping to make the world better . Watefox is a partner of Ecosia, A search engine that sports trees with its generated revenue. The browser itself is focused on powerful users, which allows you to make important decisions. There is no whitelist plugin, you can run the extensions you want and absolutely no data or telemetry is returned to Mozilla or the Waterfox project. This new browser is probably the alternative to Firefox you were looking for. The installation is done in English by default but by going in the Options one can put the interface in French which is integrated. 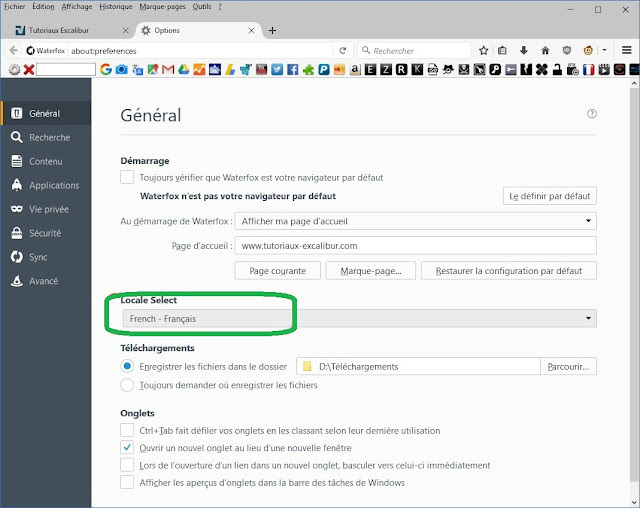 Open the profile manager by typing Firefox.exe -P (P = profilmanager) in the " run " dialog box (in principle, the existing Firefox profile bears the sweet name of " default-xxxxxx "), Have renamed. Leave the default profile to " default-xxxxxx ", then click " Quit "
On all your waterfox launch shortcuts replace : "C: \ Program Files \ Mozilla Firefox \ waterfox.exe " -P "Mozilla Firefox"
\ Users \ * name * \ AppData \ Roaming \ Mozilla \ Firefox \ Profiles It will be completely independent of Firefox even at the level of the version numbers used.